A ‘teed off’ employee at the Stop Quick Convenience Store in the US city of Methuen, Massachusetts took matters into his own hands driving away an armed robber. If the classic comedies “Caddyshack” and “Clerks” ever made a crossover sequel, it might look a bit like the CCTV footage of the incident. The knife-wielding suspect grabbed the cash register, but soon let it go when the employee hit him with a few penalizing strokes using his golf club. The robber was caught in the rough on Wednesday when he entered the store and demanded cash from the register, but the “Cinderella story outta nowhere” moved away from the counter and returned with his putter. 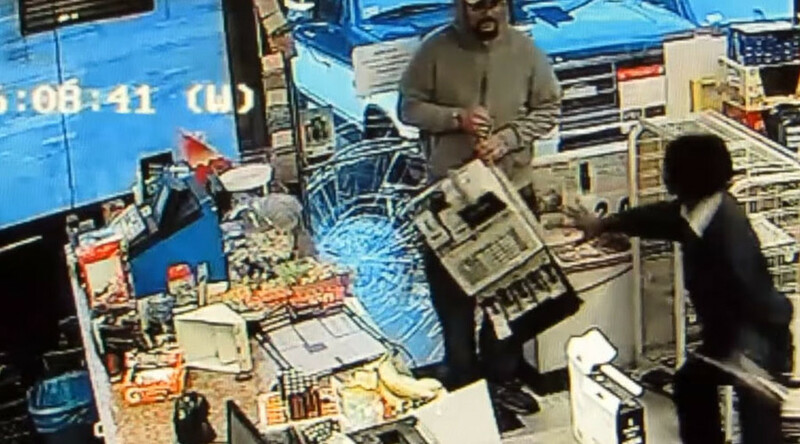 Apparently in touch with the force in the universe that makes things happen, the clerk decided to stop thinking and be the ball, or in this case, the armed robber. Unlike the gopher in "Caddyshack", this “varmint” decided to quit by dropping the register and escaping through the partially broken glass door. Methuen Police Department identified the “varmint” as 33-year-old Joshua Pittochelli. While the suspect is still at large, the club-wielding clerk with a “Happy Gilmore” temper has become a viral sensation. So he’s got that going for him. His co-worker Dante Hicks replied, "I'm not even supposed to be here today!"